PANDA has been on several radio shows, including The New American Media, Red Ice Radio, Coast to Coast AM, Liberty Roundtable, Operation Freedom and more. Here are links to the archived shows. Press 1 For Democracy: Youth Activists DO SOMETHING! The Eccentric Perspective: American Nightmare Amended? Late Night in the Midlands: People Against the N.D.A.A. The Continuing Liberty Show: Where Should the Movement Go Next? The New American Media: RNC Trades Ron Paul for Empty Chair! 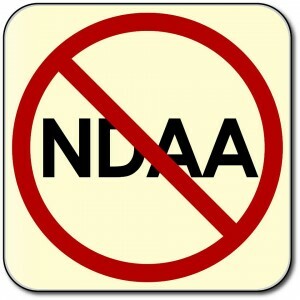 Speaking of America: "Speaking of America" Tonight, Exposing the NDAA.